Is it possible to make money by installing a solar system on your property? YES, you can make money with Monetize Solar! Years of software and hardware fine tuning to come up with a solution to not only save money on energy use but to make money from your solar investment. The process for the owner is quite simple. One of our solar experts will design and calculate your energy usage and properly size a solar system for your non-owner occupied property. After determining the optimal size of the system, we will begin the installation process. Upon completion and sign off of the system, we install a separate meter which will transmits and collect all energy usage to our monitoring station from each tenant. A customized utility bill will then be sent out to each tenant itemizing their use. Payment will be remitted to us and we will in turn forward a portion back to the owner of the building. Making money with solar is available to any non-owner occupied commercial, industrial and residential properties. Monetize Solar has streamlined and simplified an otherwise complex program to be a hands-off user friendly system for the owner of the property. The property owner will have the two option to choose from while trying to ascertain how to proceed. The first option: Purchasing the system outright. Due to no further out of pocket expenses (i.e. finance payments), the system will render an estimated 75-85% return on all tenant utilities. The second option: A zero upfront cost for installation and system monitoring rendering an estimated 15-40% return after out of pocket expenses. Please note all percentages used are simply estimates and are absolutely dependent upon any and all known and unknown variables such as the utility company, current tax rate, connection fees, etc. An individualized design/scope of work would be the only surefire way to determine your return. Receive cash payback the very first month. 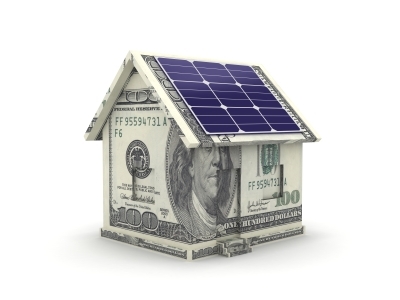 If you are a property owner that wants a higher return on your investment, generate up to 30 years of energy revenue, contact MonetizeSolar.com today.